Eczema is a skin condition caused by hypersensitivity, which is similar to an allergy. It can lead to itching, redness and dry skin that scales anywhere on your skin. Treatment with ointments and creams made from paw paw fruits may help to relieve mild cases of eczema, but there is no scientific evidence indicating it is superior to more traditional creams. Paw paw is a fruit that originates along the east coast of North America. The fruit is rich in vitamin A, vitamin C and various antioxidants. The M.D. of the University of Alberta claims that the vitamin content of paw paw can soften and moisturize your skin. Keeping your skin moisturized may help prevent mild eczema outbreaks whether you use a paw paw ointment or a standard skin cream. Though paw paw does not have scientific backing as a proven treatment for eczema, study surrounding the fruit's potential is underway at the University of Melbourne as of this publication. In 2010, paw paw cream manufacturer Tom McArthur created his own proprietary cream blend from the fruit that effectively relieves eczema and other skin conditions. McArthur's ointment showed enough promise as a healing salve that Australian researcher Michael Woodward began his clinical trial of the skin ointment. If you suffer from intense itching associated with severe cases of eczema, an ointment made from paw paw may not be enough to treat your symptoms. In cases of severe eczema, your physician may recommend that you take oral antihistamines or use a steroidal cream to prevent the itching. Medications from your doctor are proven effective for treating eczema in ways that paw paw ointments are not. Always follow your doctor's recommendations when it comes to antihistamine and steroid creams. One benefit that paw paw ointments may have over some creams for eczema is that they come from a natural source without added fragrances or dyes. Additives in some creams may dry out or irritate your skin, thus aggravating your eczema. If you decide to use paw paw ointments, seek out products that do not contain additives or preservatives. 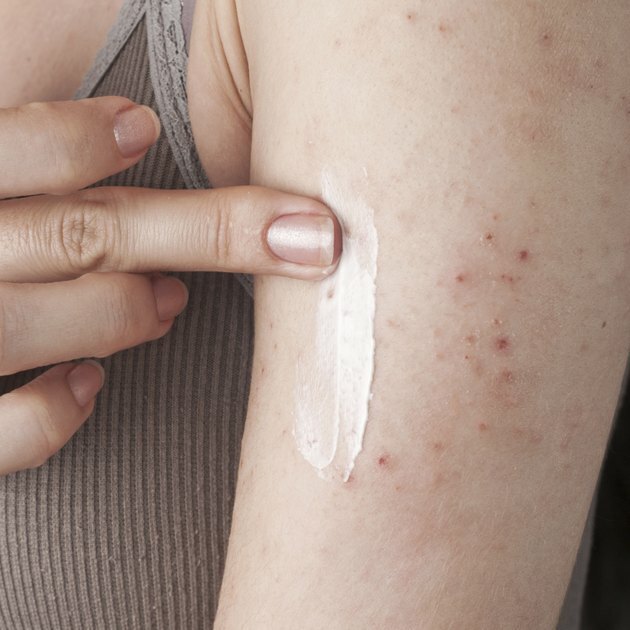 What Can You Put on a Skin Rash if Allergic to Hydrocortisone?